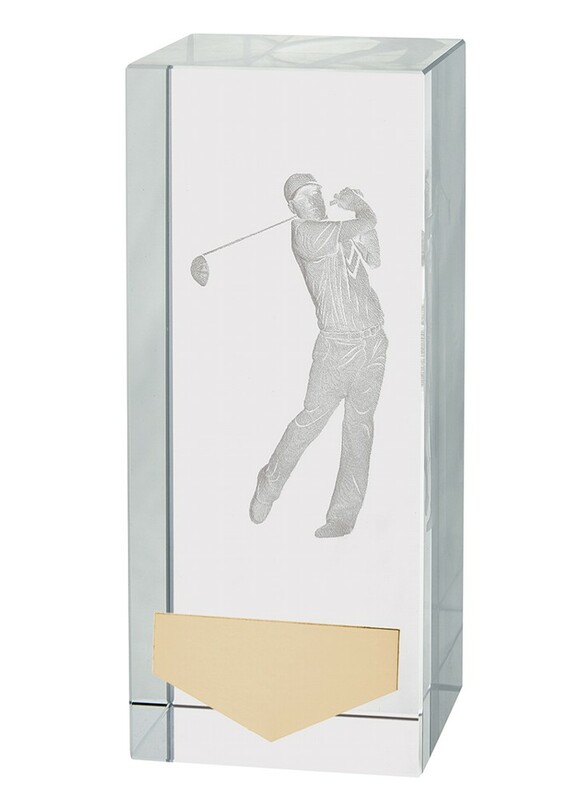 Inverness 3D Crystal Male Golfer Golf Cube Awards. This great award measures 120mm high. Crystal cube with a 3D male golfer lasered within the cube.